A lot of us have heard of the arrest of public figures on charges of corruption and other dastardly acts. After the law enforcement agencies arrest the “suspect”, the media is usually awash with how he allegedly stole millions of naira and did some other unconscionable things. There and then, public opinion finds the “suspect” guilty. Due to the bad press received by the “suspect”, people would expect the law courts to do the needful and hand down a guilty verdict. However, after the case has been dragged through the courts, the general populace is alarmed to discover that the learned ministers in the hallowed temple of justice have found the “suspect” innocent and have discharged and acquitted him. People begin to wonder how the court came to this unpopular conclusion. They wonder “Didn’t the learned justices hear the news of how the “suspect” was arrested with wads of cash that he “stole” from the national cake?” Most people come to the hasty conclusion that some money has passed under the table. But those in the legal profession know that it all boils down to a very important factor – Evidence. Ideally, when a judge receives a case, he knows nothing about the facts of the particular case. He just knows that two parties have a dispute and have come to settle it before him. Since he has no idea of what really happened, the onus is on both sides to establish the facts of the case. The only way for parties to establish what really happened is through the tendering of evidence. Evidence can be described as the building blocks which the parties use to repaint a picture of what happened between them. In an inquisitorial system of justice, the judge is at liberty to come off his high horse in an attempt to understand the facts that transpired between the parties. Fortunately for the Nigerian judge, ours is an accusatorial system; the lawyers have to discover what transpired and bring evidence of what happened before the court. The judge weighs the evidence and establishes the facts from the more established piece(s) of evidence. The Law of Evidence is rightly categorised under adjectival law. This is due to the fact that the law of evidence concerns itself with the procedure that parties have to follow in order to resolve their legal issues. One of the numerous classifications of law is the classification between substantive and adjectival/procedural law. Substantive Law includes those laws that directly provide for the rights, duties and liabilities of citizens. Examples of this include the Law of Contract, Law of Torts and Criminal Law. Adjectival/procedural laws are those that lay down the steps that parties have to follow in order to exercise the rights provided for them under the substantive law. They provide for the procedures that parties have to take in order to enforce their rights. For criminal law, the procedural law dealing with the process of enforcing it is the Administration of Criminal Justice Act. The law of evidence comes under this because it provides for the procedures that parties have to follow in order to establish facts in issue, which in turn aid in enforcing their rights, duties and obligations. In the case of Federal Republic of Nigeria vs Mike (2014) 1 SC (pt i) 27 @ 55, the court remarked that, like other concepts in Law, there can be no universally accepted definition of evidence. There have been numerous definitions of evidence from different people and legal dictionaries. the thing you see, experience or are told, which makes you believe that something is true. 2. See fact in evidence under FACT. 3. The collective mass of things, esp. testimony and exhibits, presented before a tribunal in a given dispute <the evidence will show that the defendant breached the contract>. 4. The body of law regulating the admissibility of what is offered as proof into the record of a legal proceeding. The testimony, whether oral, documentary, or real which may be legally received in order to prove or disprove some facts in dispute. The testimony, hearsay, documents, things and facts which a court would accept as evidence of the facts in issue in a particular case. • The legal means of attempting to prove such facts. The broad scope employed by Professor Nokes classifies evidence into evidence as a noun (the first one) and evidence as a legal process (the second item). What is the Fact in Issue? If you have an eye for detail, you would notice a common thread in these definitions; the presence of the word “facts in issue”. The phrase “facts in issue” is a recurring decimal in this course about the law of evidence. To prevent confusion on your part, it would be best if you know the meaning of “facts in issue”. According to the Black’s Law Dictionary 9th Edition, facts in issue are facts which one party alleges and the other controverts. You can simply interpret this to mean facts that are in dispute. When parties have already agreed to a particular fact in their pleadings, there is no need to adduce evidence. Evidence only comes into play when the parties have to establish disputed facts. 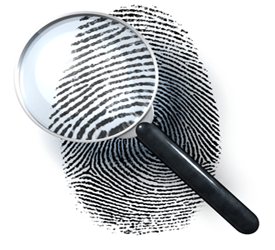 Evidence is a very important part of the common law legal system. The fact that our system of justice is accusatorial makes evidence more important. We portray the effigy of justice as a blindfolded woman, meaning that she cannot see what truly happened in the disputed case. Therefore, Evidence is the essential tool which she uses to discern what really transpired and deliver justice in the process.